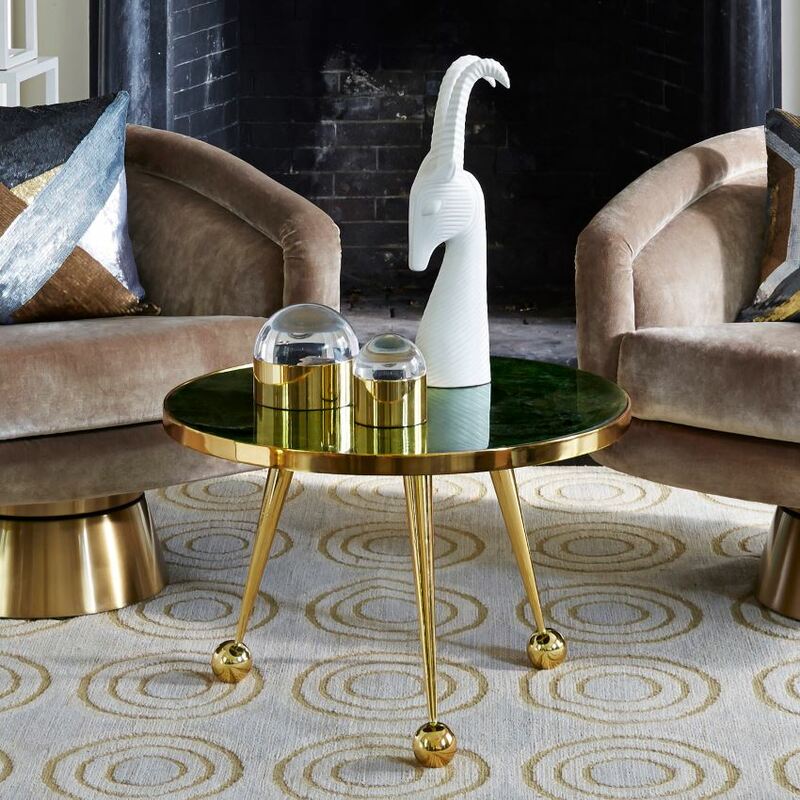 The Caracas Side Table from Jonathan Adler combines a polished brass-plated steel frame with a green penshell top. 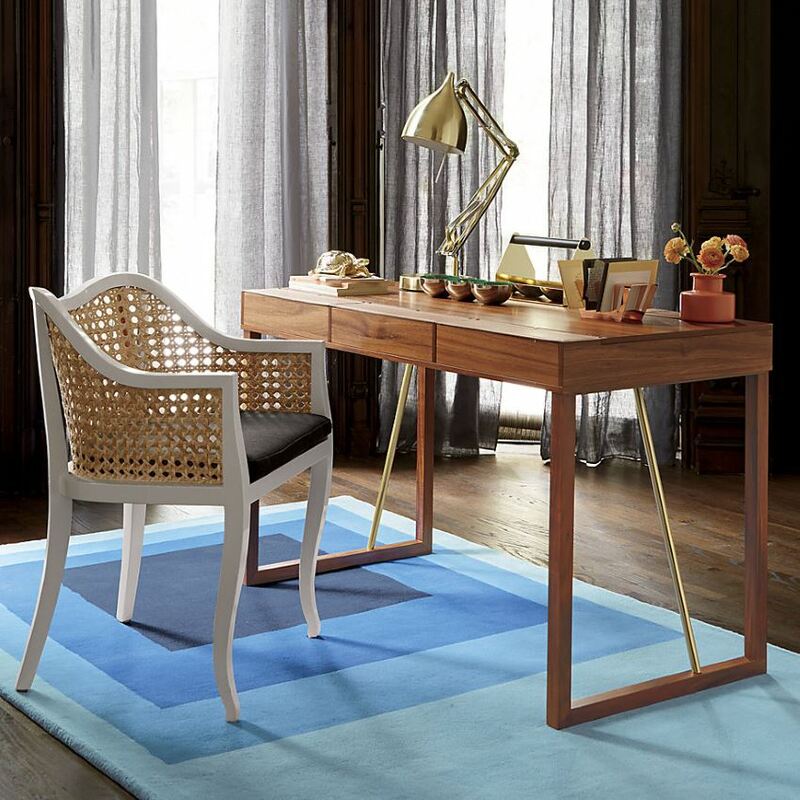 Brass continued to make waves in 2014, and no one showcases brass quite like Jonathan Adler! 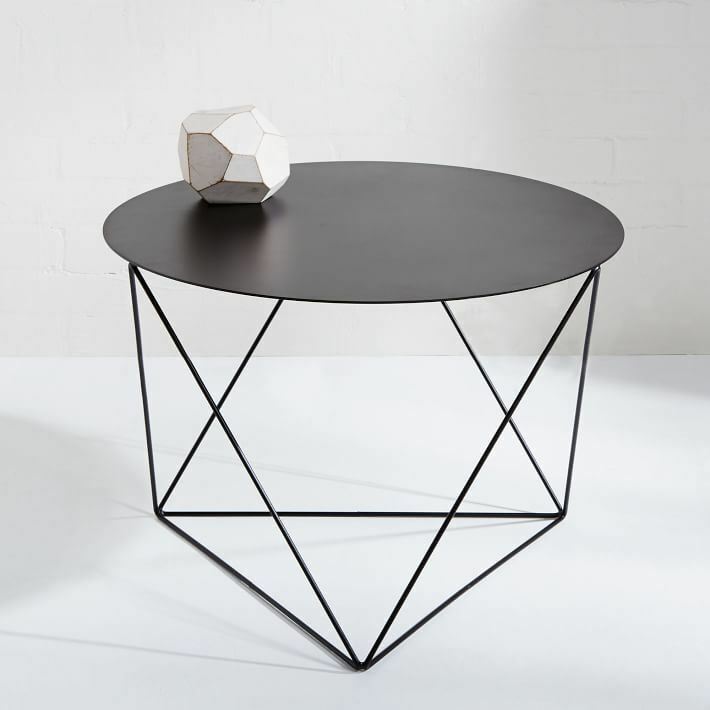 Earlier this year, the designs of Eric Trine caught my eye, so I was thrilled to see that he’s collaborated with West Elm to create the Octahedron Side Table in Black. 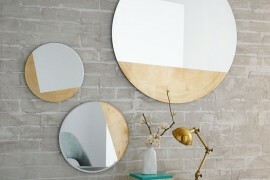 The piece also comes in white, and both colors beautifully showcase the geometric steel base and round top of the design! One major trend to take flight in 2014 was brush stroke style. From paintings to bedding, abstract designs inspired by watercolor strokes generated much interest among design enthusiasts. 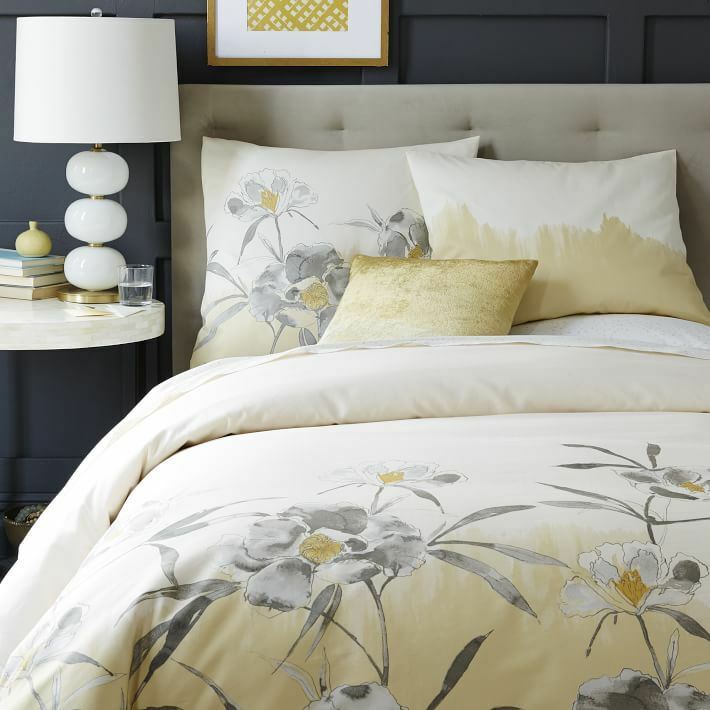 Below we see the Organic Paint Palette Duvet Cover + Shams from West Elm, complete with a modern pattern on organic cotton. 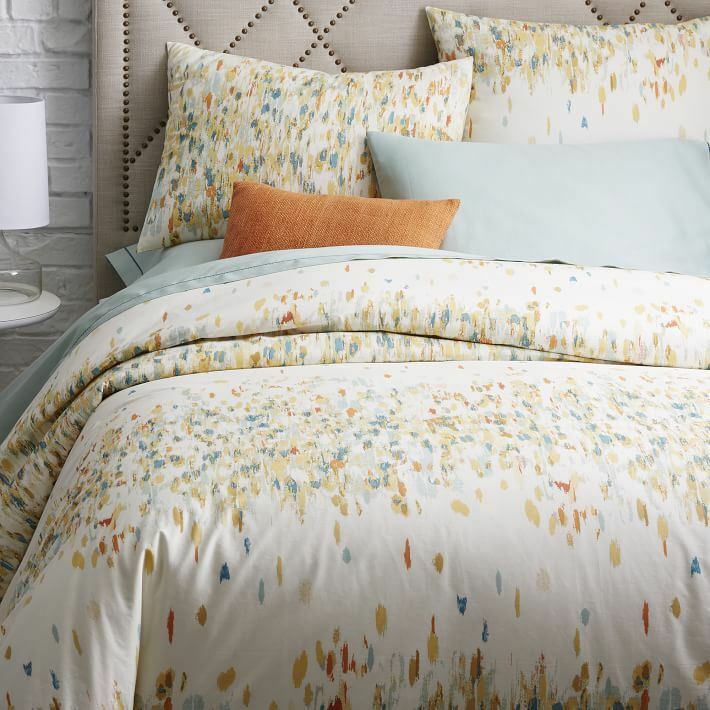 Speaking of watercolors, the Flora Duvet Cover + Shams in Horseradish were inspired by a watercolor created by a West Elm designer. 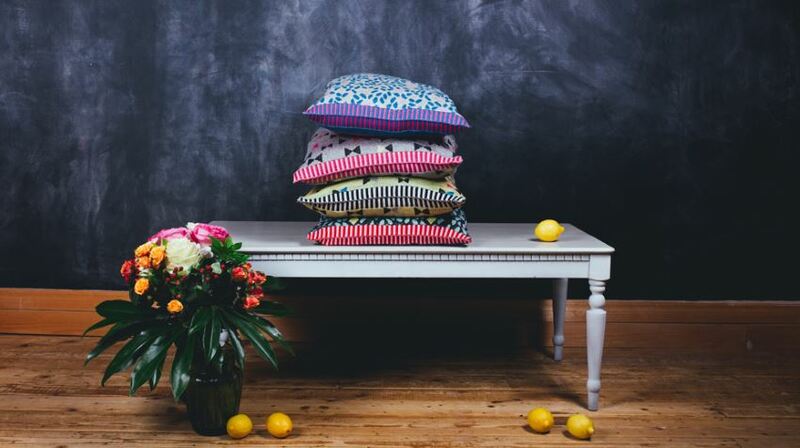 The softness of the pattern is perfectly on trend, and the bold flowers evoke a bit of ’80s glam style! 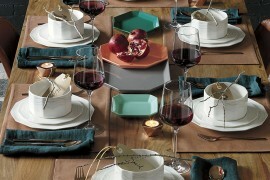 Let’s hear it for cotton sateen! 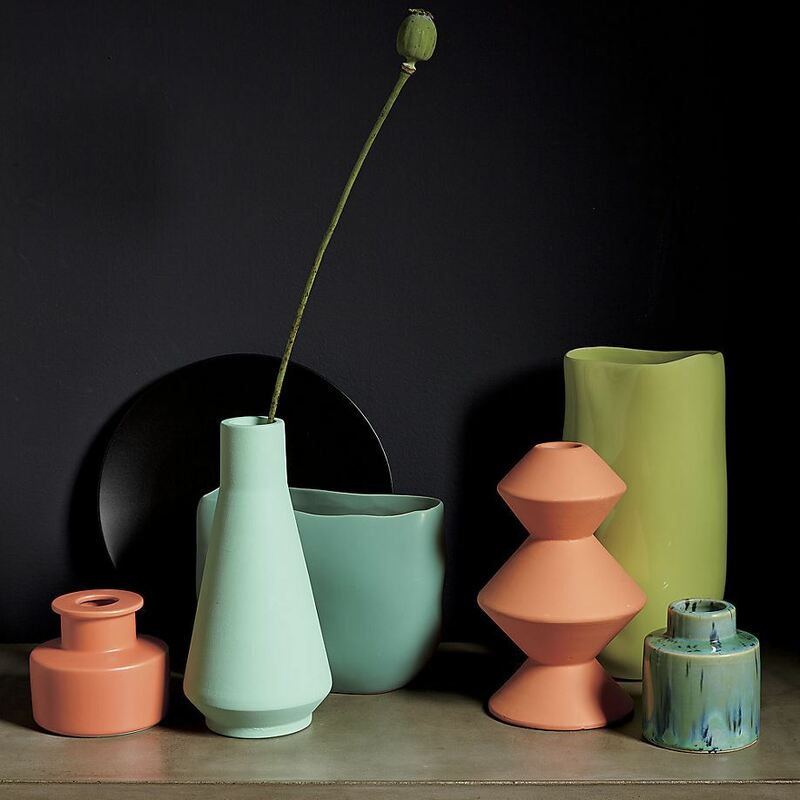 This year I became a bit obsessed with Ferm Living, a design studio that seamlessly merges Scandinavian style with innovative new design motifs. 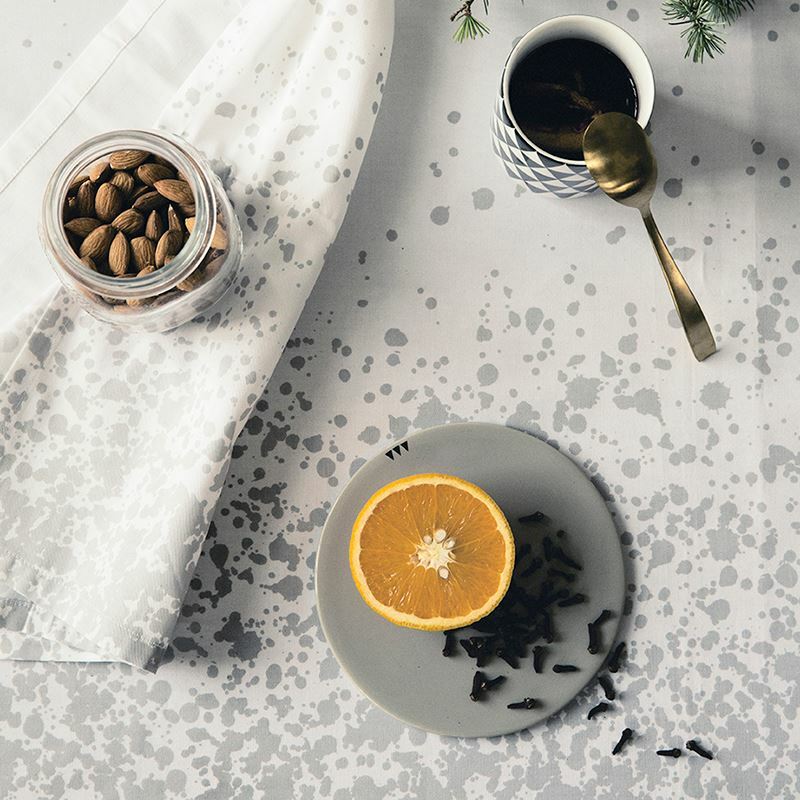 This Splash Table Cloth in Grey is the perfect contemporary statement for the table. Bonus: it’s 100% organic cotton. 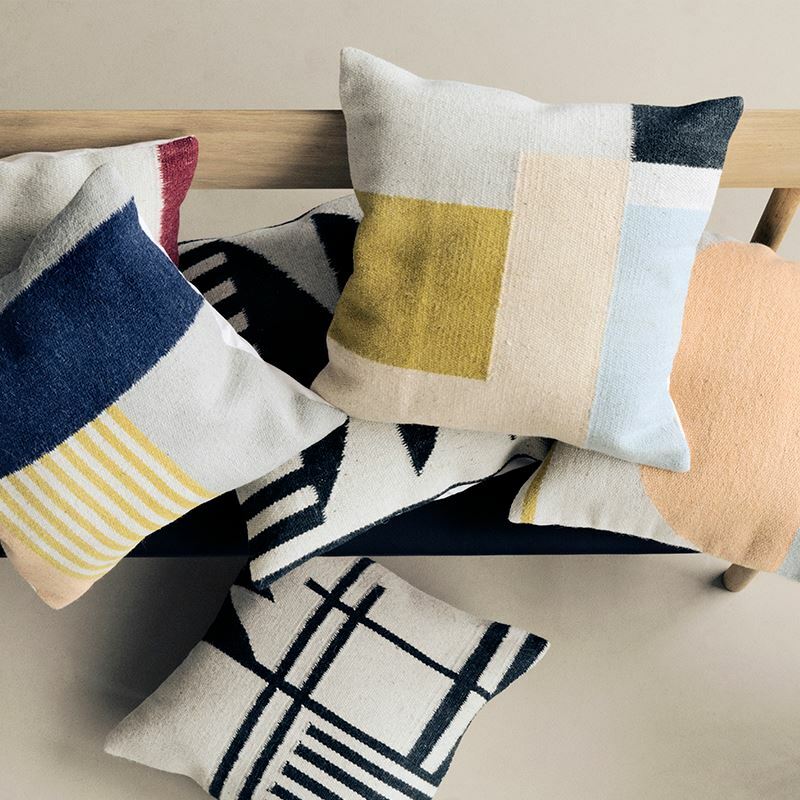 Vivid textiles made a big splash in 2014, especially those featuring geometric designs (and anything channeling Memphis-Milano style). 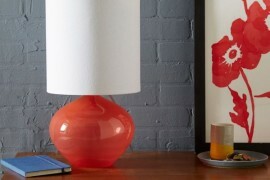 These pillowcases from Baba Souk are the perfect eye-catching statement for your sleeping space. 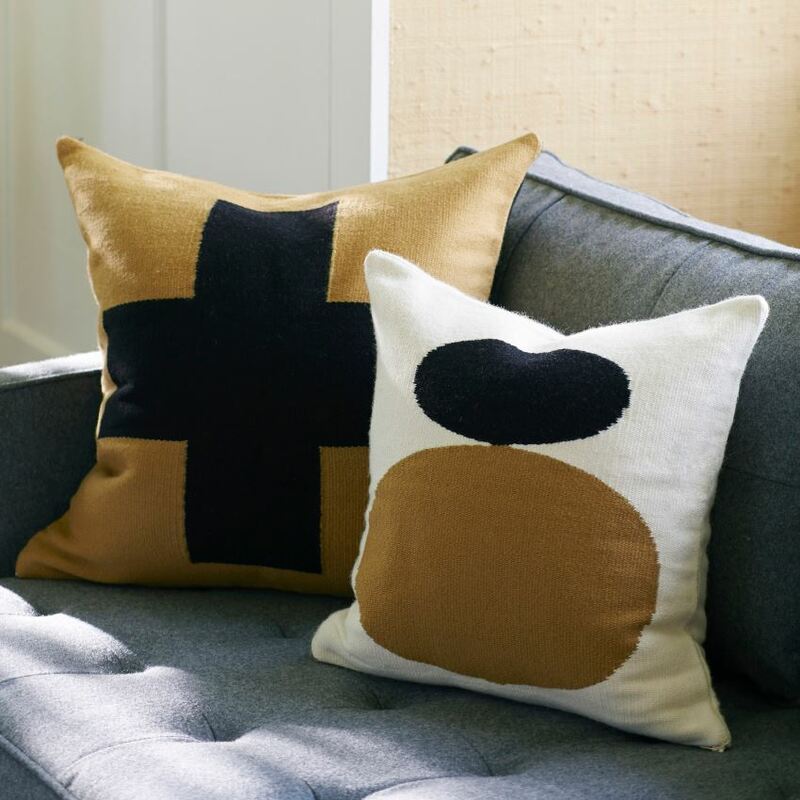 These Wool Throw Pillows from Jonathan Adler put a retro spin on the bold pillow trend. 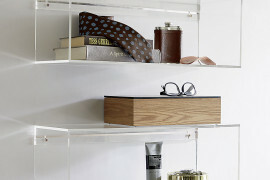 In fact, the mod designs below channel a ’60s vibe, making them timeless! Ah, lighting! You’ve always been there, but somehow this past year you seemed to soar to new heights! 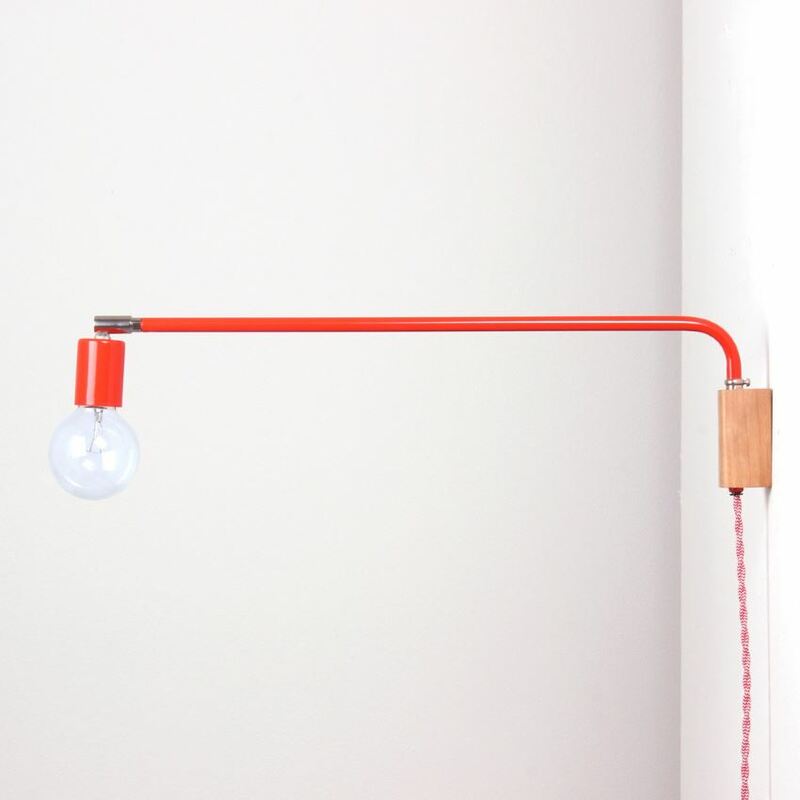 Our current infatuation with sleek modern lighting shows no signs of letting up. 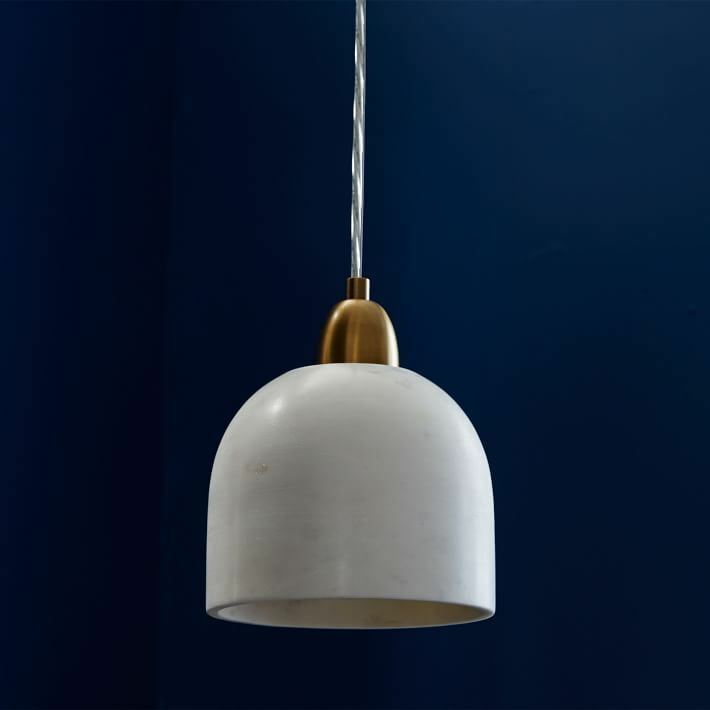 Why would it, when perfectly simple designs like this Marble Pendant from West Elm showcase modern materials such as marble and brass? 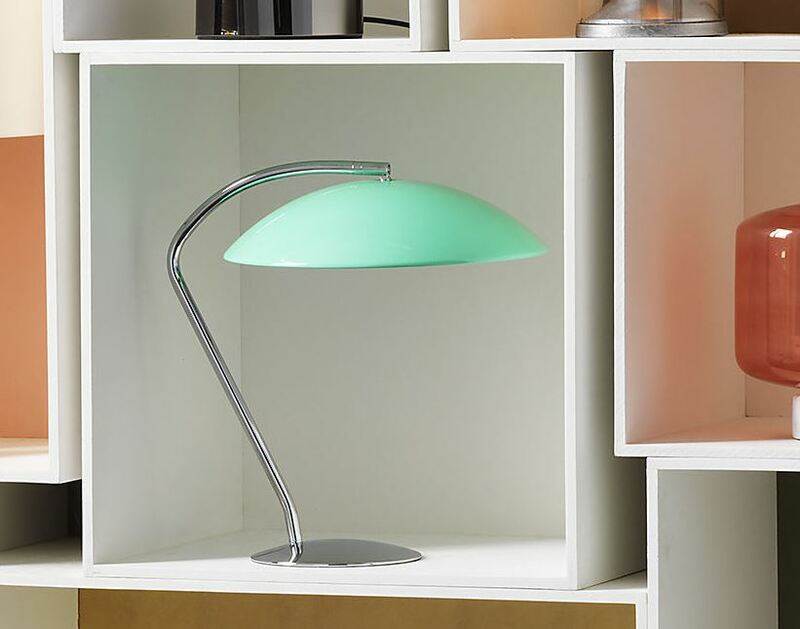 Powdercoated metal can be seen on many of our favorite lighting fixtures and lamps from 2014, and this Atomic Aqua Table Lamp from CB2 celebrates the trend to the fullest in a retro-fabulous shade of aqua. 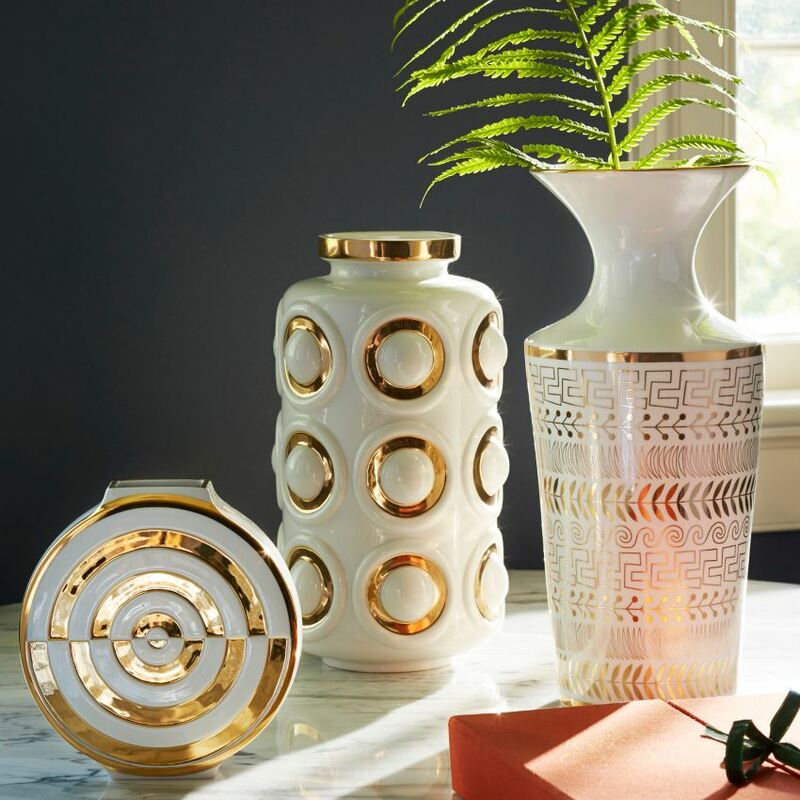 Porcelain and gold combine in luxe style, thanks to the always chic designs of Jonathan Adler. 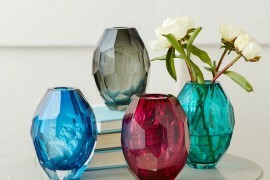 Somehow I just can’t seem to forget about these vases, as they celebrate the return of gold tones in grand fashion! 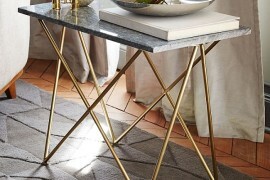 Geo style made a big impact this year, and this trend shows no sign of letting up. 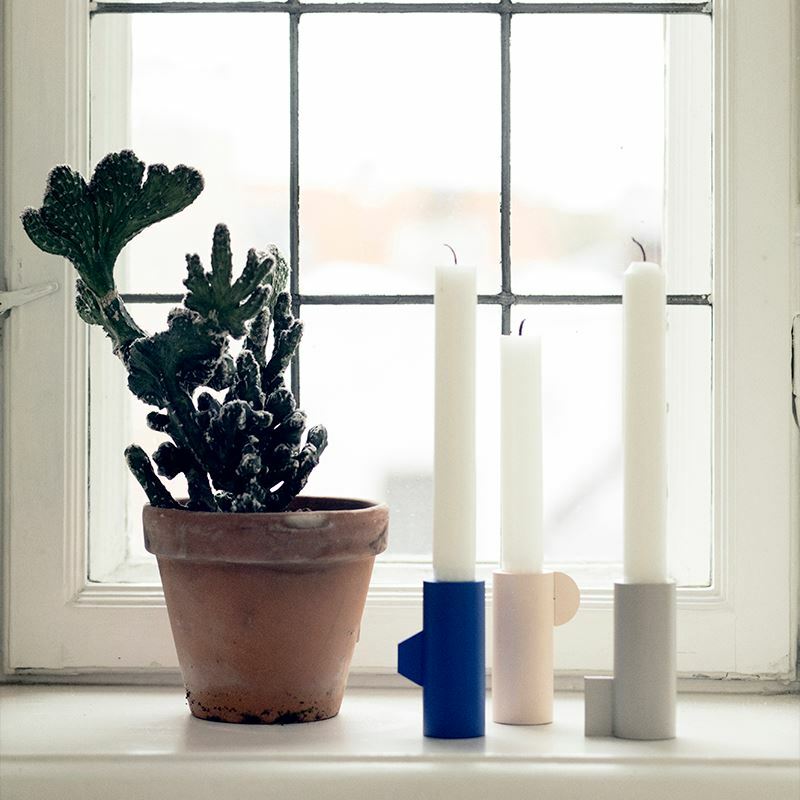 I’m quite smitten with Ferm Living’s Half Candleholders, partly because their sculptural forms, and partly because of their perfectly chill yet powerful hues! And last but not least, I’ll shine the spotlight on the Max Brass Sculpture from CB2. 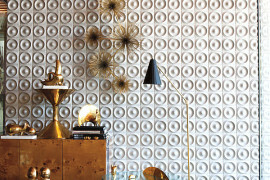 I ordered 15 brass cubes from CB2 last year and created an installation on my dining room wall. I’m still a little brass crazy, so you can see why the amazing geo find below caught my attention. 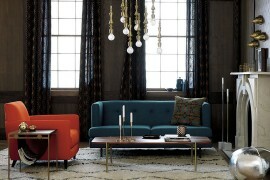 So many facets, so many angles! 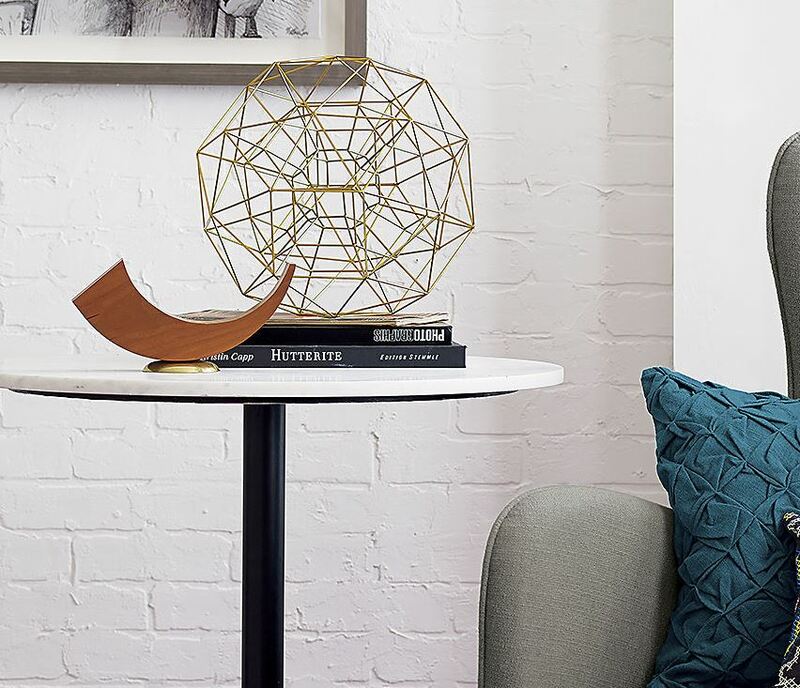 Thanks for joining me as I took a look back at some of the year’s top trends and showcased a collection of amazing design finds. Are you planning a redecorating project for 2015?